Figure 01. 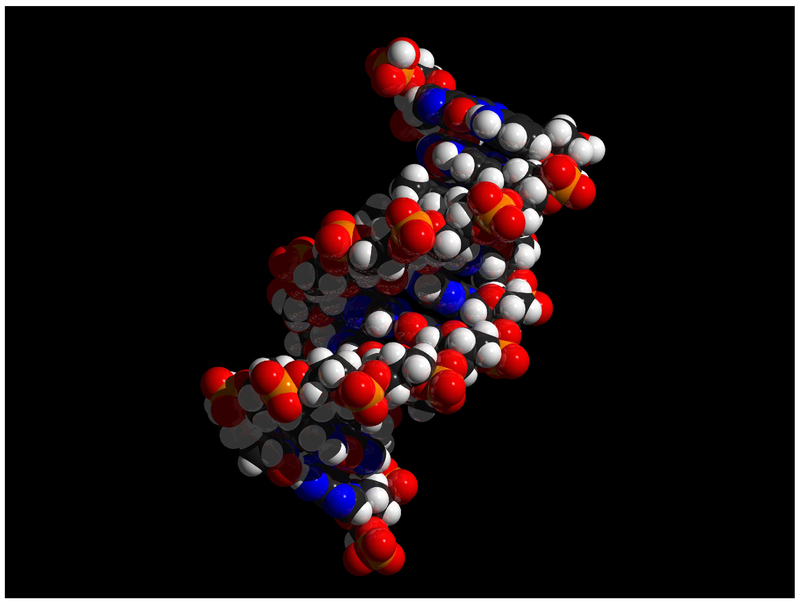 Human DNA is described as a double helix that resembles a molecular spiral staircase. In humans the DNA is organized into 46 chromosomes.